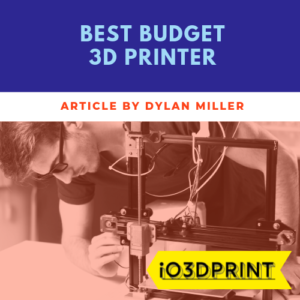 The DP201 is a little more money than some other printers with similar specs. What you’re paying extra for is peace of mind and convenience. It really is the perfect choice if you want to avoid hassle and just get on with making things! 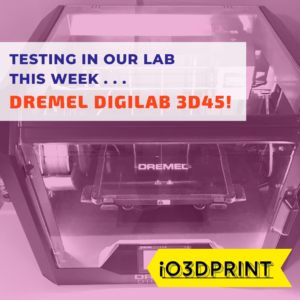 Completely hassle-free 3D printing is here! The Sindoh DP201 is the perfect choice if you’ve thought about taking up 3D printing but have been put off by the tales of complicated assembly, temperamental setup and failed builds. This is the first 3D printer that can truly be considered a consumer product in the same way conventional inkjet printers are. This isn’t entirely a coincidence because Sindoh have been making 2d printers for years so they have a good idea of what consumers want from their products. When it arrives on your doorstep there’s no assembly required, no hunting for the right hex key, no running in circles to perform tricky calibrations. Plug it in, press print! The filament is loaded using a cartridge system, much like a conventional inkjet printer. This means there’s no complicated threading of filament through tubes and holes that don’t seem that willing to accept it, as is often the case on other models. You also don’t have to worry about whether you’re buying the best, cheapest, or wrong filament, your only option is color choice. The bed leveling is assisted with a very intuitive on-screen walkthrough. You don’t even need to know what bed leveling is, you just do what the printer tells you. Unique to the DP201 is a click system. As you turn each height adjuster a slight click is felt and heard, the walkthrough just tells you how many clicks are needed. This is a really unique feature! One of the most annoying tasks with 3D printing is removing the finished part from the bed. The flexible bed allows you to remove finished parts by simply bending the bed so they peel off! This is a really simple idea that has been implemented perfectly. The flexible bed has a fully magnetic bottom which neatly snaps into place on the plate support, this prevents it from distorting and ensures it always goes back in completely level so it doesn’t mess up your calibration. I’m not even kidding. There’s a small webcam inside the DP201 that you can connect to on your laptop, PC, or smartphone. 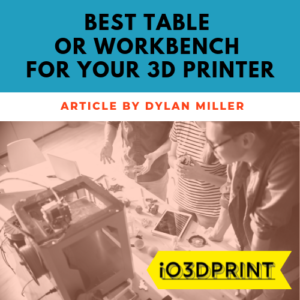 Although this sounds a bit gimmicky, it can actually be of use as 3D printing can be a slow process, you can leave the printer happily printing away an 8-hour build and just occasionally check up on it to see how much progress it’s made. Think of it as a baby monitor for your pride and joy! Similar in scope to the camera monitor. You can set up email alerts for when your build is finished or has hit a problem. No more checking up on it every 10 minutes! In addition to these unique features, the Sindoh DP201 also gives you an ultra fine minimum build resolution of 50 microns (0.05mm). In fact, the DP201 produces parts of quality equal to the best home FFF printers with much higher price tags. The included software is equally perfect for beginners or anyone who doesn’t like a hassle, giving you helpful direction and tips at every step of the slicing process. The maximum part size is a more than adequate 8.3″ x 7.9″ x 7.4″. I’m always of the opinion that splitting a item to fit on a build plate is just a part of 3D printing, it’s what I’ve been doing in industry for years and isn’t really a chore. Should I Buy the Sindoh DP201? It really is a perfect choice if you don’t want a hassle. It just works, straight out the box, and will continue to do so for many years. For the average home user, it offers you everything you could want from a 3D printer. It’s also the perfect choice if you’re a worrier. Concerned about getting the right model? The best value? Is it future-proof? The answer to all these questions is yes! Here’s the one negative of the DP201 – it only uses a proprietary filament. That means you can’t use any other than Sindoh branded filament cartridges and they are slightly more expensive than the average price of a non-branded filament. 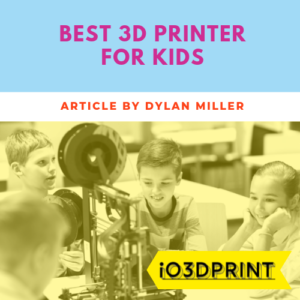 The difference between this printer and others with locked filament is you get the benefit of the hassle-free cartridge system, plus you don’t have to buy a new cartridge each time if you don’t want to you can refill it. Price excl. shipping / Last update on 2019-04-18 at 13:10 / Images from Amazon Product Advertising API / As an Amazon Associate I earn from qualifying purchases.